Addictions often begin as ways of coping and develop into habits. 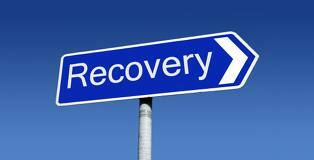 If you would like some addiction therapy to help improve your life contact us here. Click here to see the some comments that other clients have said about their addiction. Knowledge is Power The more you know about your addiction the better! It gives you some power over it. Keeping a diary to detail the pattern of your addictive behaviour, your mood and activities can be a great start to understanding what factors make your addiction worse or better. Identifying what triggers you into addictive behaviour can be a very important and helpful step. Finding Other Ways to Cope. Once you have identified what triggers your addictive behaviour you can look at other ways of coping. For example, if you recognise you are using alcohol to relax from the stress at work it could help to look at reducing your stress levels. This may involve finding other ways to unwind in the short term such as relaxation classes or exercise such as a walk or a visit to the gym. It may also involve finding a long term solution to the difficulty which is causing you stress. Support Available Understanding your addictions and their root cause can be complicated and often may need the guidance of a trained professional to help you. If you would like to work with an experience therapist in a safe and confidential place contact us here. Or if you would prefer us to call you back please leave your details here.